It’s important for the HVAC (heating ventilating and air conditioning) system in your home to be clean and free of debris. Without clean air ducts, your furnace and air conditioning system have to work harder to keep your home comfortable. That will cost you money on your energy bills. Clean air ducts are a key component to the safety and efficiency of your home or office. More importantly it improves the health and safety of your family and your pets. It’s why we got into this business in the first place. 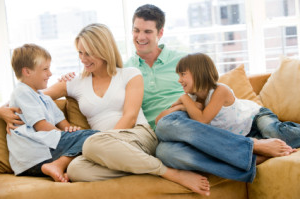 We care about you and your family and want to help you breathe clean air at home. The dirt and dust that is present in the air ducts will continually circulate throughout the home. The only way to stop this constant circulation of the dust is to have it removed from the air ducts. The EPA lists common household dust as one of the top 5 Allergy and Asthma triggers found in a home. In addition to dust, pet hair, insects and sometimes molds are also found in air ducts. The EPA and health professionals recommend that you reduce your exposure air pollution. Indoor air pollution can set off an allergy or asthma attack. The air ducts in your home are the biggest source of household dust. Most likely they are dirtiest part of your home. It makes good sense to remove these potential health hazards that exist in your air ducts. A dirty system will restrict air flow. Restricted air flow will cause uneven temperature distribution causing hot and cold areas in your home. A dirty system will work harder to keep your home comfortable. This will cause premature failure of system components and will shorten the life of your system. Cleaning your system will restore the performance of your HVAC system. A dirty and clogged system will consume and waste a lot of energy. A dirty system that is running constantly will cost you energy dollars. According to a study done by the University of Colorado, having a dirty system cleaned can save homeowners 40% of the electrical cost to run their heating and air conditioning. Making sure your system is clean is one of the first steps you should take when looking for ways to save energy. 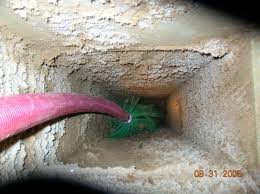 Believe it or not our customers tell us the top reason they clean their air ducts is because they are dirty! Just the thought of having dead skin cells, fungi, mold, dust or dirty things that are present in the air ducts is enough for most people to want to have them cleaned. Many people who take pride in keeping a clean home just don’t want to ignore the dirtiest part of the home, they want it clean. Heating, ventilation and air conditioning (HVAC) systems have been shown to act as a collection location for a variety of contaminants that have the potential to affect health such as mold fungi, bacteria and very small particles of dust. The removal of such contaminants from the HVAC system in your home should be considered one component in an overall plan to improve indoor air quality.